Teaching web design to new students in higher education is undoubtedly challenging. Now that this has become a hot topic and learning desire for a significant part of people, it is even more critical to make sure that you are doing the right things as a teacher. However, being a good professional in web design doesn’t necessarily mean that one will be a good teacher as well. This is something quite important and the quicker you understand it, the fewer issues you will be having. It is essential to understand that there are plenty of interesting practical activities that you can have your #class do to improve their abilities in #web #design. We’ve taken the liberty of looking at a few tips that you can take advantage of. While you might have your teaching sandbox, it is a good idea to teach them how to do it as one of the first things in the course. There are absolutely no shortcuts that you ought to keep in mind when it comes to improving your students’ design skills and, as such, you want them to have the perfect testing ground. Practicing their skills on production sites is undoubtedly unacceptable. This is going to crash the system as quickly as you can imagine and, as such, they need testing sites. A sandbox account is a great way to do so, so make sure that they are aware of how to handle it. One of the first things that you ought to do as a teacher is to show your students where and how to get their inspiration from. Web design is an art in its essence, and this is something that has to be considered. Therefore, don’t hesitate to teach them where to get their inspiration from – which is usually from the world around you. This might sound a bit abstract, but the truth is that it’s imperative. The student needs to know how to feel the design. In other words, he has to relate design to the real world to make it easy to digest and to appeal to the viewer. Teach them how to be a critic first, before being a designer. They will learn how to question everything, hence improving their flaws quicker. Immediately after you finish some practical exercise, you should consider putting down a competitive form of some sort, involving skills your students have already learned. When you do so, put it up a notch – add an element of surprise and include something unknown. Your students will be driven to perform to the best they can and, as such, will be able to push themselves towards learning something new. Competitions are also incredibly beneficial regarding practical exercises. They teach your students how to be independent in their work and to rely mostly on themselves and their abilities to quickly solve specific issues. This is a very popular practical exercise which is quickly going to get your students to further their abilities. When you put them on a web design task, ask them to incorporate elements from the world around them. Not only will this trigger their imagination, but it will also show you how they can reflect objects on the design canvas. It is one of the most challenging but also rewarding practical activities that you can get your students to do because it allows them to learn the necessary skills to reflect what they see. Should they learn how to do that, you will start seeing their progress a lot quicker. Depending on the course that you are teaching, you might require your students to use different coding languages. If that’s the case, make sure to switch it up. Also, when applicable, make sure to require them to mix it up. This is going to allow them to learn how to use different web design elements together in a fairly quick manner. While there’s nothing wrong with language specialization, being able to switch it up and use whatever is necessary, whenever it’s necessary, is absolutely critical and very beneficial. Needless to say, though, there are plenty of other practical activities that you can have them do. These are somewhat fundamental, and they shouldn’t be disregarded. Making sure that your students stay ahead of the curve is essential, and with those few easy yet effective exercises, you will most definitely be able to accomplish this task. Choosing a good web hosting seems to be a good start before practicing web design skills. 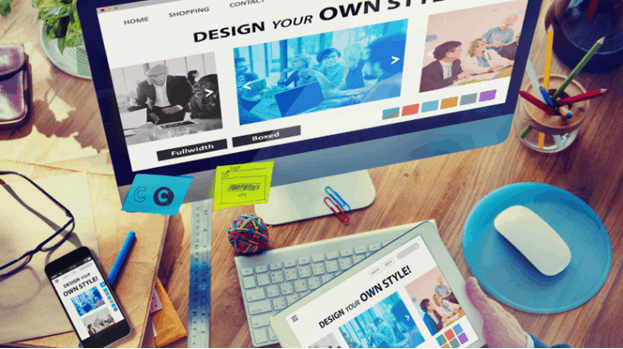 Web design has quickly become one of the most important skills that contemporary young people are looking forward to as the field of IT grows by the minute. This is the main reason for which teachers in different schools and colleges should also stay up to the necessary mark. With this said, the above practical exercise tips are going to help you elevate the overall level of your teaching, making sure that everything is handled as per the highest standards. Of course, there are plenty of other things to be aware of, and you shouldn’t limit yourself. Published on June 27, 2018 by Lauren Bradshaw; modified on November 8, 2018. Filed under: education, web design. Lauren Bradshaw started writing in 2003. Since then she tried her hand in SEO and website copywriting, writing for blogs, and working as a freelance academic writer at CustomWritings professional paper writing service. Her major interests lie in content marketing, developing communication skills, and blogging. She's also passionate about philosophy, psychology, literature and painting.